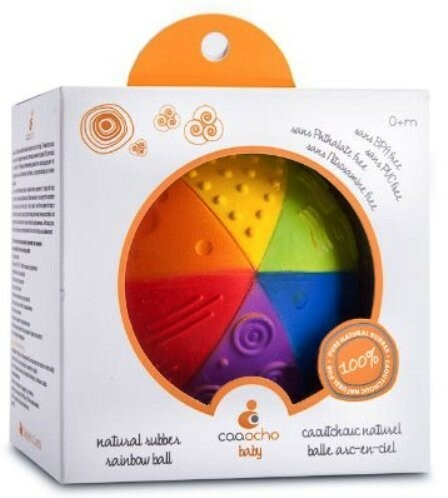 CaaOcho's pure 100% natural rubber Rainbow Ball is the perfect first toy for a baby. provides a wonderful sensory experience for a baby with bright rainbow colors to provide visual stimulation and 6 different textures to encourage tactile exploration through both hand and mouth. 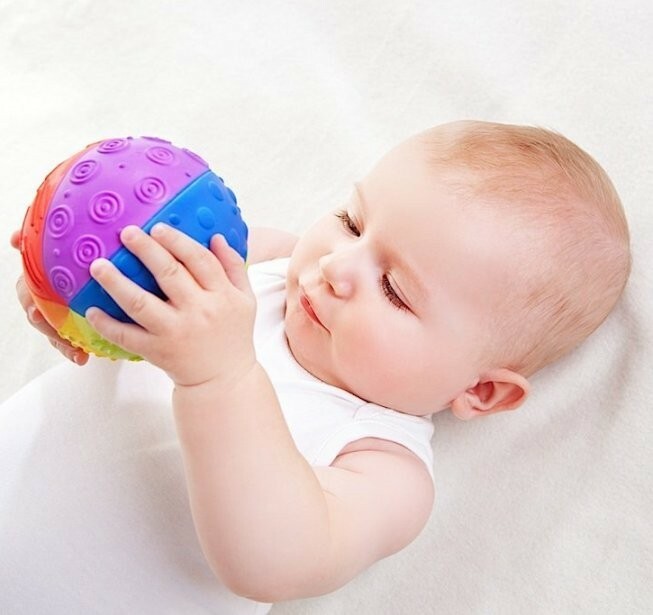 Perfectly sized for baby's hands, the ball encourages the baby to experiment with holding, squeezing, dropping, rolling, and chasing, all of which develop hand-eye coordination and gross motor skills as well as baby's sense of cause and effect and spatial awareness. he ball's hermetically sealed design makes it a great water play companion without any possibility of bacteria and mould growth. The ball starts as pure natural tree sap from the rubber tree Hevea that is minimally processed into durable 100% pure natural rubber. 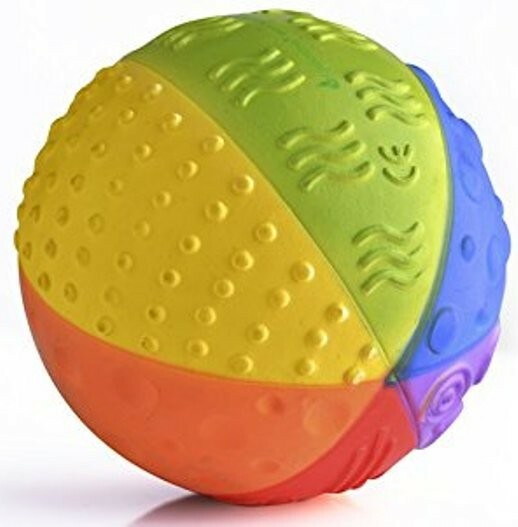 It is certified BPA, PVC, Phthalate and Nitrosamine free, and painted with non-toxic food-grade paints, making this ball is completely non-toxic. Our Rainbow Ball is earth friendly, it is produced sustainably and is entirely biodegradable.